On Saturday, June 25, we will celebrate the official opening of Belmont Chase in Ashburn, Virginia. The Whole Foods Market-anchored center touts a contemporary design along with rustic finishes such as natural wood, stone and red brick – an architectural work of art. During the event, Loudoun County artists will showcase their designs and artwork in an Artisan Market from 11 am to 2 pm., accompanied by music from Julia Kasdorf and kid-friendly activities. While each artist has a different style and medium, they all share the same passion for creating art and culture within the community. Below is a complete list of the local artists that will be featured at the Artisan Market. Anne Jordan's passion for copper originated five years ago when her neighbor gave her a few scraps of copper her kids found. She took a coppersmithing class to figure out how to use it, and has been hooked ever since. She makes decorative and functional hammered copper art: trays, bowls, mirrors, wall art, outdoor garden art and fountains. 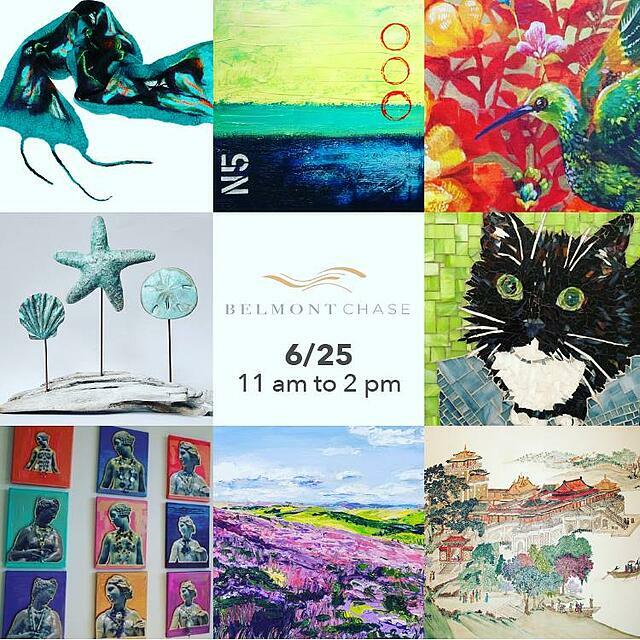 The Belmont Chase Artisan Market is Saturday, June 25 from 11am until 2pm. Visit Belmont Chase on Facebook for additional event details.